If you missed Spring’s post check it out here! We decided to “interview” each other to give you our perspectives on MTNA and why we are active members. This time it’s my turn (Whitney) to answer the questions. We hope if you are a member, you will add your comments below about why you are a member. And if you are not a member yet, we hope this gives you a few ideas about the benefits of membership. There are so many reasons why we love MTNA! Q. Tell us about your background with MTNA. When and how did you first become involved in the organization? A. My high school piano teacher entered me in a few performance festivals which became my first experience with MTNA. I performed at the state conference recitals so I saw how teachers gathered and learned from each other early on. Then as a college student, joining the student chapter was a requirement so I became a member and I’ve stayed ever since! My college chapter in undergrad was very involved – we presented at the state and national conferences, and also won National Collegiate Chapter of the Year Award once! Then my graduate chapter was also active with hosting festivals and presenting at state conference. I loved being involved in chapter leadership and made many treasured memories during these years! Q. After you finished school, what made you continue your membership with MTNA? A. The local association I joined after school was small but very welcoming. They gave me a mentor, someone to call with questions as I tried out the new-to-me festivals and theory tests. But other members were also so kind and reached out to become friends. It was just what I needed as a young professional! Several met me for breakfast before meetings or called to check on my registration for the next festival. Then they got me involved in running a festival and soon enough, I was asked to be Vice President. For me, being involved made the difference. I needed some responsibility to keep me coming to meetings even when I got busy. Q. Why should non-members consider joining MTNA? A. Being a piano teacher can be an isolating profession without MTNA. We interact constantly with parents & students, but we don’t get as much interaction with colleagues unless we teach at a university or multi-studio school. Life is so busy for everyone. But I’ve found that meetings, sessions, workshops, conferences, festivals, and all other activities I am involved in with MTNA are vital to keeping me from burning out. Each of these gives me the chance to keep learning or to reconsider something I had forgotten about. Q. How has being an MTNA member shaped you as a teacher? A. 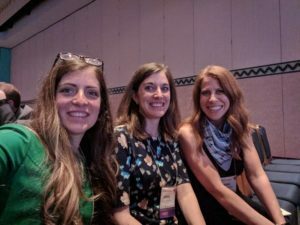 There are so many ways that my MTNA membership and involvement has pushed me to become a better piano teacher. For example, listening to other students play or hearing my own student perform through the door offers me a new perspective. I’ll suddenly realize what we need to focus on next in lessons very clearly. Often I’ll be listening to a speaker at a workshop and find myself inspired to try a new teaching tactic with that one struggling student. Then other times, I’ll hear a studio incentive idea or learn about a new repertoire book from a quick chat with friends in the association before the monthly meeting. Then I get all excited to try out this new idea or book and can’t wait to get back to teaching! These moments of clarity keep me going as a piano teacher and I owe so many to my involvement in MTNA. Q. How has MTNA helped you transition through your moves from Texas to Utah and now to Washington? A. When I move, it takes time to set up my studio and find my network of people again. 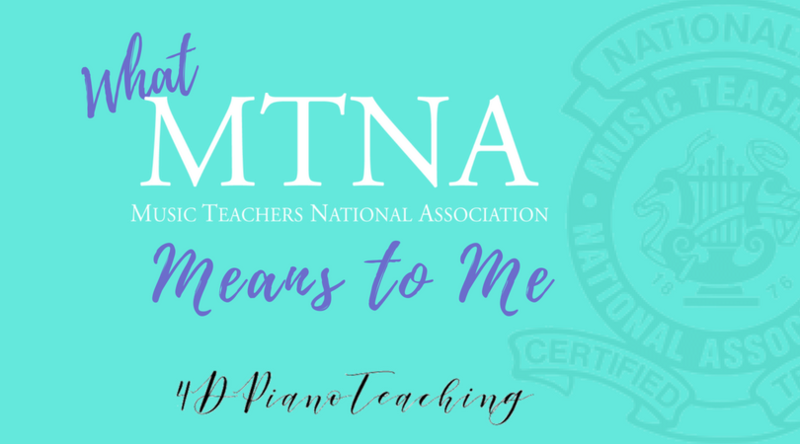 MTNA involvement helps me meet piano teachers in the area, find friends with similar interests in music, find concerts and community orchestras in the area, student referrals at times from other teachers or from websites. I also believe that my national certification (NCTM) makes my name stronger. Wherever I move, other teachers know you take your teaching profession seriously and are committed to the cause. Parents are immediately more impressed that even though I’m new, I’m part of a national association and I take my commitment to teaching seriously. And last but not least, keeping in touch with colleagues and meeting at state or national conference since I’ve moved so much is wonderful! It definitely keeps me progressing and wanting to be active when I get to see friends there. I’m grateful for the colleagues who have become treasured friends over the years! Q. How do you balance professional and personal time while raising young kids? How does MTNA fit in? A. While having a family is one of my greatest joys, I won’t lie. Being an involved teacher is tricky with little kids. There are definitely times when I need to pull back and other times where I can give more. Honestly, I’ve always felt like most of the teachers in my associations understand! They’ve always been supportive of my bringing well behaved kids sit in meetings/workshops for which I’ve been so grateful. An iPad with a movie and headsets has saved the day when babysitters fall through. Also try looking for drop off childcare centers in bigger cities, this may make it easier for you to get a few other things done and make meetings a special time for yourself! I also have to mention that having a supportive spouse or partner makes any of it possible for moms. It can be hard to convince yourself or your spouse to pay for babysitters for your volunteer events too. Whether it’s weekday meetings or weekend events, your spouse must believe in the value of MTNA and festivals for students. Try to share what you learn and how energized workshops/sessions make you feel. Many professionals of all types have associations they see the value of belonging to and MTNA does a great job supporting us in our profession. —Thanks for reading through this to the very end! We’d love to hear about why you are involved in this wonderful association in the comments below or on Facebook! It definitely takes time and hard work to make our chapters strong and supportive. We’re grateful for all of the wonderful teachers we get to associate with in our local chapters who make us better teachers!